Thank you for considering us as your wedding cake/dessert vendor. 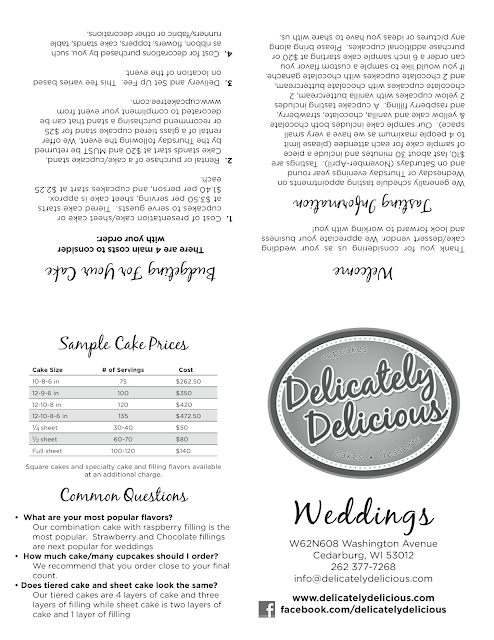 We charge a $10 fee for standard wedding/event tastings. 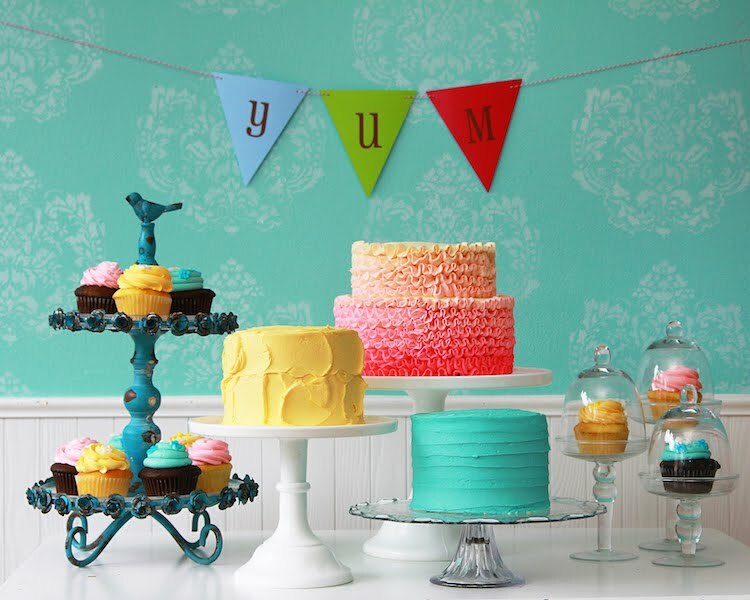 This fee includes a piece of standard wedding cake (chocolate and yellow cake with raspberry, strawberry, chocolate, and vanilla buttercream) for each person attending the tasting (up to 4 people, we have a very small space) and up to a half hour design consultation. Cupcake tastings include yellow cupcakes with vanilla buttercream, chocolate truffle, red velvet with cream cheese buttercream. 6 inch specialty flavor tasting cakes can be custom ordered starting at $20. 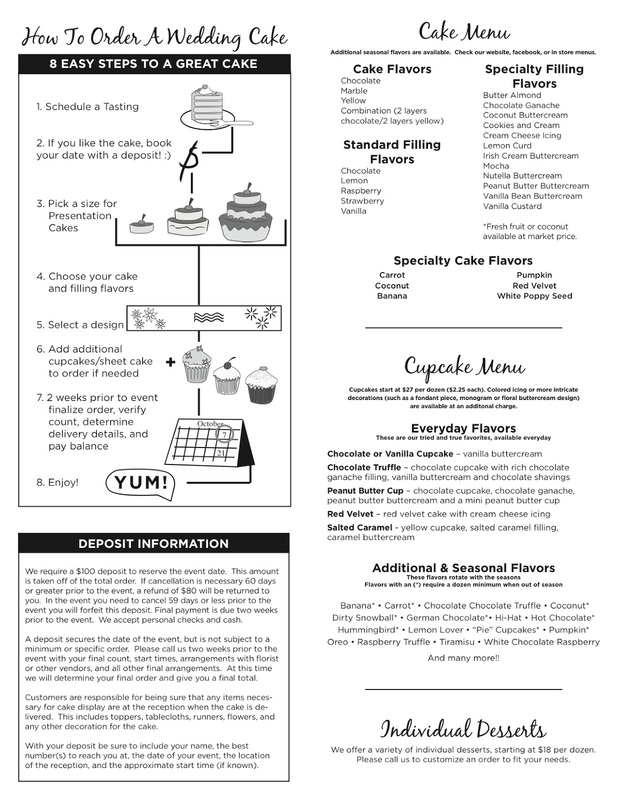 Specialty flavor cupcakes can be purchased from our retail case or ordered ahead for tasting.